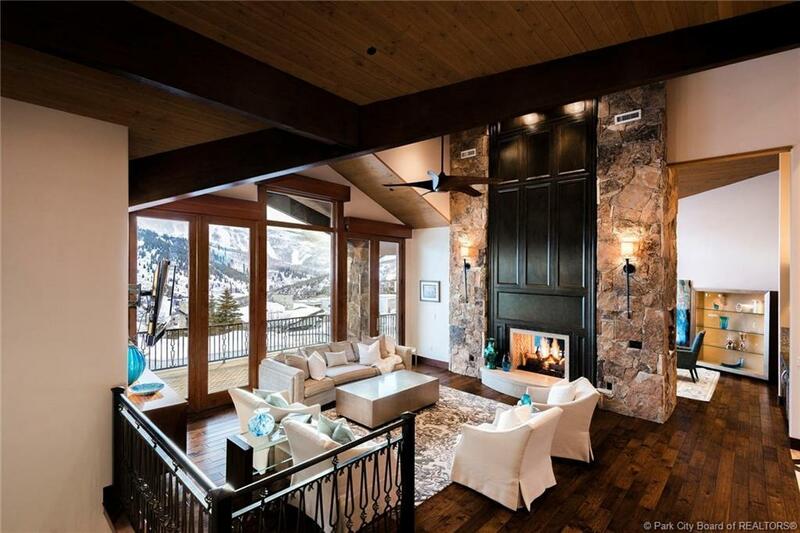 Thoughtful design and meticulous craftsmanship are at the forefront of this stunning home in April Mountain. 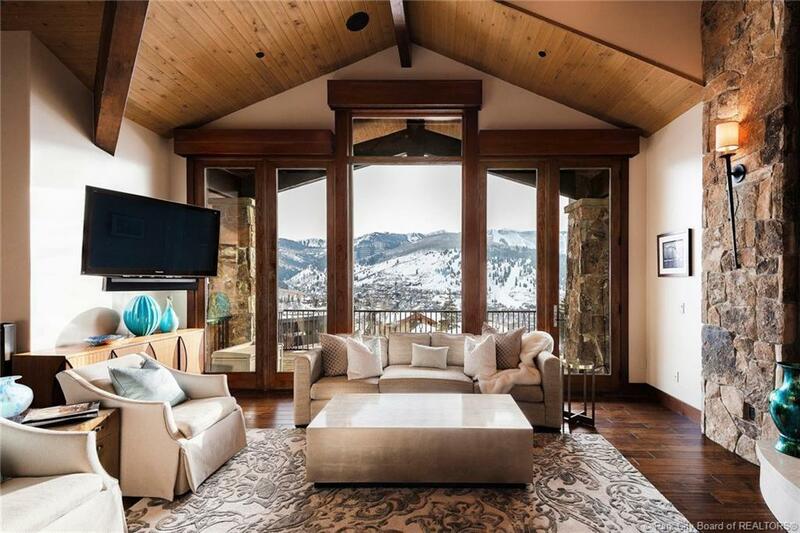 Located at the end of a quiet cul de sac within walking distance of Main Street, this home has sweeping views of Empire Pass, Park City Mountain Resort and Old Town. Featuring four ensuite bedrooms with two guest Master Suites, Media Room, Craft Room and multiple entertaining areas, this home was designed by Jonathan DeGrey and built in 2013. High-end finishes include custom handcrafted cherry doors and trim, hickory wood flooring, Thermador and Bosch appliances, Main Level Master Bedroom with two separate bathrooms, steam shower, heated floors and towel racks and private deck with access to outdoor spa. Additional features include Professional Grade kitchen with Butlers Pantry, zoned radiant heat and air conditioning, custom wood paneled elevator, five fireplaces, heated driveway and walkway and large, outdoor spa off downstairs family room. Listing provided courtesy of Summit Sotheby's - 1101 Park.